The lawyer’s role is to give you information, alternatives and advice. The attorney should not be making decisions for you, but rather providing to you what you need to know so that you can make informed decisions. The final decision should be yours to make. A good attorney will give you recommendations and ask you to make a decision. Before you interview an attorney, make a list of questions. Ask about his or her’s legal education, experience, philosophy of practice and all methods the attorney uses to manage the marital dissolution. Referral services – You will find many of these with local (city and county) bar associations. Unlike a directory, referral services attempt to match you to a single or group of attorneys. These referrals tend to offer the services of attorneys that are newer to the practice of law, but not necessarily less skilled than a more seasoned attorney. 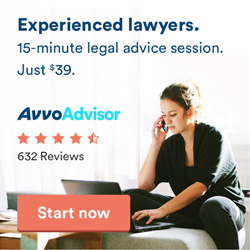 If you like this approach, we suggest you use the lawyer database by AVVO, where you can review detailed information on lawyers in your area. Produce recent tax returns. 3 years if possible. Create a bulleted list of chronological events in your marriage. Include previous marriages for both, details of children of the marriage, step-kids/foster-kids, etc. Produce any pre-nups, career achievements and milestones, health conditions (including any recent changes), acts of abuse or violence, changes in behavior including suspected or confirmed affairs, and any relevant comments made during the marriage or separation. You are not re-writing War and Peace, so brevity is appreciated. Do not overlook the need to update your will before the ink dries on the divorce decree. On what grounds can you file? Has anyone at your firm ever represented my partner or anyone associated with my partner? What are the proof requirements for the fault-based grounds for which you qualify? Does your state take marital fault into account for the purposes of property division and alimony? Do you handle other types of Family Law cases? Does your state take extramarital affairs into account when awarding custody? If yes, to what extent? Is there any advantage to filing for divorce on one ground versus another? Who else will work on my case? How are they paid? If you want to use email, ask about protocol. Response time? Cost? Who responds? Does the lawyer require paid in full before s/he goes to court or finishes with your case? Will they work out a payment plan for you? Will they put these answers in writing? Ask if your spouse interviews an attorney with his or her firm at any time after your interview, will they turn your spouse away because of a conflict of interest?